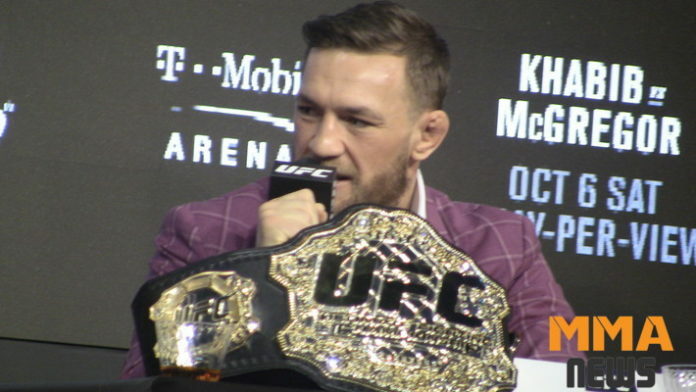 Conor McGregor is placing the blame of the reported dissolving of the Ultimate Fighting Championship (UFC) men’s flyweight division on the ONE Championship CEO. In addition to Torres, Justin Scoggins and Jared Brooks have also been released. The dissolving of the men’s flyweight division hasn’t been confirmed, but MMA News will keep you posted on the latest updates regarding the state of the weight class in the promotion. With that said, sources have told MMA News that it isn’t looking good. Do you agree with Conor McGregor, or should the blame go elsewhere?